Teenage cousins Sadie and Tessa are best friends, just like their mothers, sisters Emma and Jeannie. Their families are close and the girls themselves are inseparable. And then the unthinkable happens. A single instant of Sadie’s inattention causes a tragic accident—and Tessa is dead. Everything changes in that moment: Jeannie’s lost her only child, Emma’s daughter is facing legal consequences, and both families are reeling from grief and loss. Soon sorrow becomes bitterness as Jeannie’s marriage disintegrates and Emma’s two children are mired in guilt and depression. 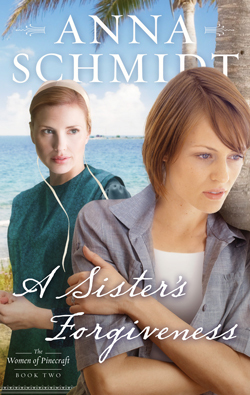 But through faith, can each sister find a way from heartbreak to forgiveness?